Living authentically - mind, body, and spirit. 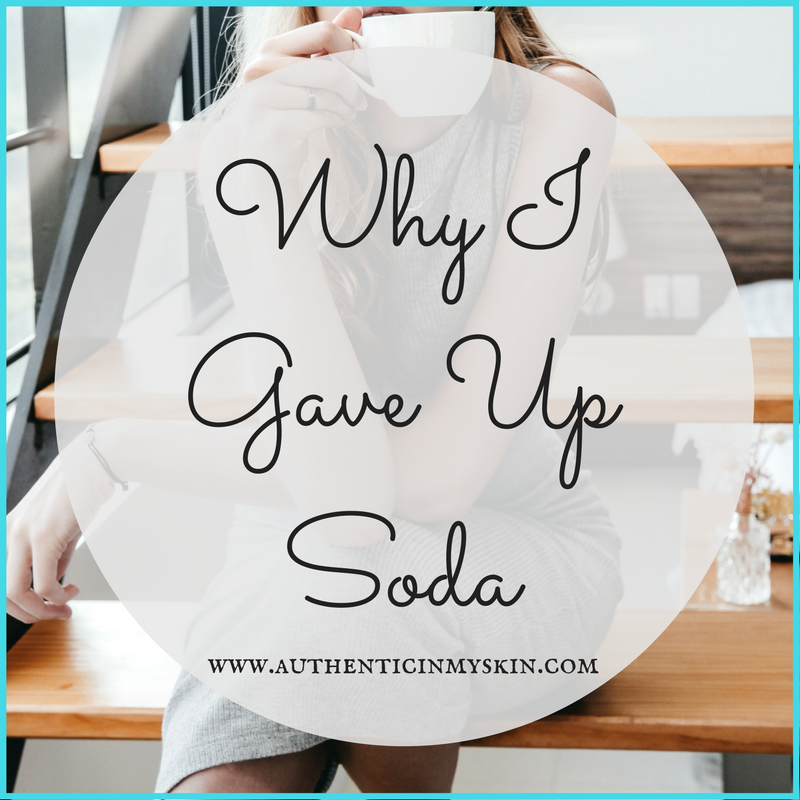 Why I Gave Up Soda was originally written for my church in May of 2012, but I needed to update it a little and repost it after watching That Sugar Film yesterday. I learned that the Coca-Cola Company funded research on fructose-containing sugar that, would you believe, showed no correlation between sugar and obesity, diabetes, heart disease...! The scientist who was interviewed in the film, John L Sievenpiper MD, states in the film that sugar isn't bad for us and in the same interview said that yes, COCA-COLA IS FUNDING THE RESEARCH, but that doesn't sway the results or findings. Yeah, okay. Let's say we took away cocaine. Well then, what're the addicts gunna do, uh, to get that same feeling that cocaine gave them? Anyway, I get a little fired up because one of my values is justice and because of that value, I can never believe in scientific outcomes that are paid for by the big, corporate makers of poisonous drinks marketed to children and everyone else in the world. Yes, poisonous drinks (keep reading). What's in Soda and Why? Phosphoric Acid – a key ingredient in soda, phosphoric acid is used in soda as a preservative, anti-fungal, and anti-bacterial, slowing the growth of mold and bacteria that can develop. A flavor-enhancer, phosphoric acid also gives soda that nice acidic texture. However, PA is used to remove rust from metal and has been linked to lower bone mineral density, kidney problems, and accelerated aging (AJCN). Phosphoric acid also assists in removing enamel from your teeth. According to a study published in the International Journal of Clinical Practice (IJCP), excess soda appears to cause blood potassium levels to fall to dangerously low levels. “Several lines of evidence suggest that the chronic consumption of large amounts of cola soft drinks may adversely affect potassium homeostasis and result in potentially severe conditions such as hypokalaemic myopathy.” This is a condition involving muscle weakness, cramps, palpitations, and vomiting that is caused by a potassium deficiency. For more adverse side effects, click the IJCP link above. 4-Methylimidazole (4-MEI) – 4-what? Unpronounceable to regular people (like myself), this ingredient is the caramel coloring that makes soda brown. This ingredient contains carcinogens (which means “cancer-causing” in regular people terms) and has been added to a list of chemicals known to the State of California to cause cancer or reproductive toxicity. The American Journal of Clinical Nutrition (AJCN) – There are many articles on the AJCN website pertaining to studies on the effects of soda on the body. Some results conclude that the consumption of added sugars (caloric sweeteners) to beverages, particularly carbonated soft drinks, has been linked to obesity, diabetes, and heart disease. American Stroke Association – Preliminary studies presented at the International Stroke Conference show that the greater the intake of sugar-sweetened and low-calorie sodas, the significantly higher risk of stroke. National Center for Biotechnology Information – Daily intake of sugary soft drinks lead to and increases fat storage in the liver and in muscle tissues. This daily intake is likely to enhance the risk of cardiovascular and metabolic diseases, as well as determining the level of insulin resistance, possibly predisposing a person to type 2 diabetes. Harvard School of Public Health (HSPH) – sweet-tasting soft drinks—regardless of whether they are sweetened with sugar or a calorie-free sugar substitute—might stimulate the appetite for other sweet, high-carbohydrate foods. Studies show an increase in risk of diabetes with increasing soft drink and fruit drink consumption. For those of you trying to lose weight on artifical sweeteners, HSPH states: "One worry about artificial sweeteners is that they uncouple sweetness and energy. Until recently, sweet taste meant sugar, and thus energy. The human brain responds to sweetness with signals to, at first, eat more and then with signals to slow down and stop eating. By providing a sweet taste without any calories, artificial sweeteners could confuse these intricate feedback loops that involve the brain, stomach, nerves, and hormones. If this happens, it could throw off the body's ability to accurately gauge how many calories are being taken in." Your body also craves what you put in it. Stop drinking sweet sodas and you'll stop craving sweets. 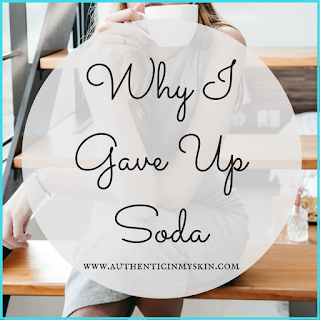 Well, I hope you are now seriously considering giving up soda... FOR YOUR HEALTH!! I am four days soda free. *** Let me know if you're joining me on this soda-free lifestyle and we'll celebrate together!! * Coca-Cola and PepsiCo Agree to Remove Flame Retardant Chemical from Their Products. ** Since the first post, research has come out that BPA-free may be just as horrible for us. To this updated post, I wanted to leave you with a fun video! I am also an affiliate with various other organizations that I believe in and only promote that which I have myself participated in or used and that I passionately believe will help others. As my disability keeps me home-bound and unable to work, this is one small option I have to sustain myself. Additionally, I am not a professional in the matters of health and nutrition. I merely have an interest in matters relating to health and nutrition and am choosing to share this information. This article is not to be used as a substitute to medical advice and does not take into account the specific health status of its readers. Before starting any nutrition or exercise program, you should always check with your own health care provider.